Illinois Sparkling Co. Awarded Three Top Trophies in 2018 - Illinois Sparkling Co.
ISC’s locally made, traditional method sparkling wines are “crushing it” in this year’s wine competitions! [PERU, IL, November 2018–] Competing in wine competitions throughout the United States, Illinois Sparkling Co. (ISC), is living up to their tagline “Perfecting the Bubble.” In 2018, ISC’s traditional method sparkling wines received three top trophies, three double gold medals, eight gold medals and 10 silver medals in state and international wine competitions. What makes this achievement more spectacular is that all these wines are made from 100% Illinois-grown grapes. Demi Sec Rosé is the name of ISC’s sparkling wine that received three trophies. The most recent trophy, the Jefferson Cup, was awarded at the Jefferson Cup Invitational, an invitation only wine competition, where only the best of the best, culled from tastings and competitions throughout the U.S., are pre-selected and invited. Over 700 wines were invited from both well-known regions, such as California and Washington, and not so well-known areas like New York, Michigan, Missouri and Illinois. “It is a great honor just to be invited into this competition, so we were super excited to hear we won the prestigious Jefferson Cup this year,” said Mark Wenzel, the owner and winemaker of Illinois Sparkling Co. 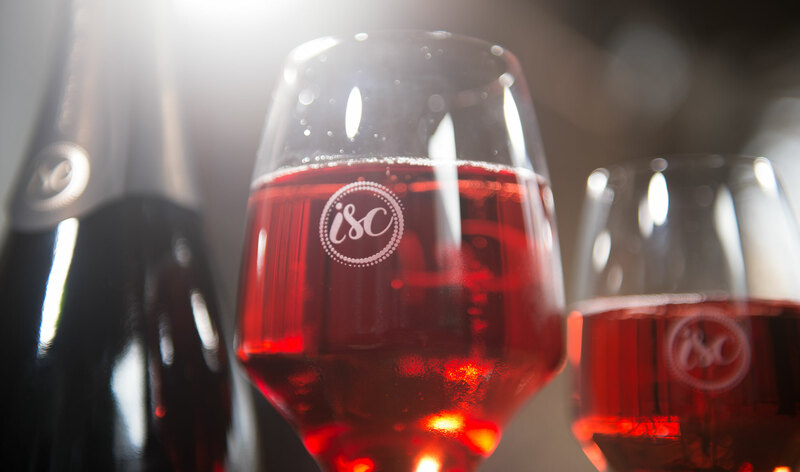 In addition to the Jefferson Cup, ISC’s Demi Sec Rosé also received the “Best of Show” trophy at the Illinois State Wine Competition, the top honor at this competition. The third trophy, Best of Show in the specialty/fortified/sparkling category, was received at the 2018 GRAPEVINE Magazine Best of the Midwest Wine Competition. Demi Sec Rosé brings a depth of color and flavor to delight your senses. Hints of chocolate, cherry, and cinnamon underscore a slightly fruity first layer. Illinois Sparkling Co. and its sister brand, August Hill Winery, are owned by locals Mark & Teri Wenzel. The winery and estate vineyard are located in Peru, IL and the AHW/ISC Tasting Room is located at 106 Mill Street in historic Utica, IL. You can also find ISC wines at many locations throughout Chicagoland such as Publican O’Hare, Pops for Champagne, Daisies, and Binny’s Beverage Depot.